What promise, through the prophet Malachi, does the Lord make concerning Elijah? “Behold, I will send you Elijah the prophet before the coming of the great and dreadful day of the Lord.” Mal. 4:5. What will this prophet do when he comes? “And he shall turn the heart of the fathers to the children, and the heart of the children to their fathers, lest I come and smite the earth with a curse.” Mal. 4:6. Whom did Christ indicate as fulfilling this prophecy? “And His disciples asked Him, saying, Why then say the scribes that Elias must first come? And Jesus answered and said unto them, Elias truly shall first come, and restore all things. But I say unto you, That Elias is come already, and they knew him not, but have done unto him whatsoever they listed. Like wise shall also the Son of man suffer of them. Then the disciples understood that He spoke unto them of John the Baptist.” Matt. 17:10-13. “And he said, I am not.” John 1:21. In what sense does the angel Gabriel explain John the Baptist to be the Elijah of Mal. 4:5? “Many of the children of Israel shall he turn to the Lord their God. And he shall go before Him [Christ] in the spirit and power of Elias, to turn the hearts’ of the fathers to the children, and the disobedient to the wisdom of the just; to make ready a people prepared for the Lord.” Luke 1:16,17. NOTE.-John went forth “in the spirit and power of Elias,” and, in preparing a people for Christ’s first advent, did a work similar to that done by Elijah the prophet in Israel centuries before. See I Kings 17 and 18. In this sense, and in this sense only, he was the Elijah of Mal. 4:5. Near the close of the three and one-half years drought in Israel, brought about as a judgment through the intercessions of Elijah (James 5:17) in consequence of Israel’s apostasy, what accusation did King Ahab bring against Elijah? “And it came to pass, when Ahab saw Elijah, that Ahab said unto him, Art thou he that troubles Israel?” 1 Kings 18: 17. What answer did Elijah make? “And he answered, I have not troubled Israel; but thou, and thy father’s house, in that you have forsaken the commandments of the Lord, and thou has followed Baalim.” 1 Kings 18:18. 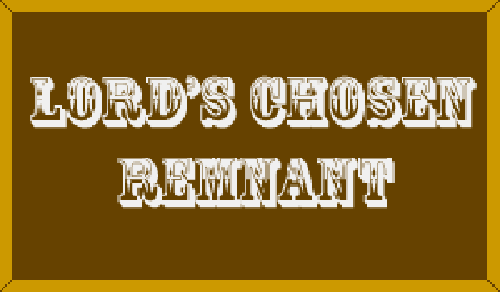 NOTE.-Israel had departed from God, forsaken His commandments, and gone off into idolatry. Jezebel, Ahab’s wicked and idolatrous wife, had “cut off the prophets of the Lord” (Verse 4), was supporting hundreds of the prophets of Baal, and was seeking Elijah to slay him. Elijah called for a famine on the land, and said to Ahab, “As the Lord God of Israel lives, before whom I stand, there shall not be dew nor rain these years, but according to my word.” 1 Kings 17:1. Elijah’s message was a call to repentance and obedience to God’s commandments. What plain proposition did he submit to all Israel? “And Elijah came unto all the people, and said, How long halt you between two opinions? if the Lord be God, follow Him: but if Baal, then follow him.” 1 Kings 18:21. NOTE.-The result of the test by fire which followed on Mt. Carmel, can be read in the remainder of this wonderful chapter. There was a great turning to God, the people saying, “The Lord, He is the God; the Lord, He is the God.” Verse 39. What was the burden of the message of John the Baptist? “Repent ye: for the kingdom of heaven is at hand.” “Bring forth therefore fruits meet for repentance.” Matt. 3:2,8. What was the result of this message? “Then went out to him Jerusalem, and all Judea, and all the region round about Jordan, and were baptized of him in Jordan, confessing their sins.” Matt. 3:5,6. NOTE.-There was a genuine work of repentance and reform. John was not satisfied with a mere profession of religion. He told the Pharisees and Sadducees who came to his baptism, to “bring forth fruits” answerable to an “amendment of life.” He wished to see religion in the life, the heart, the home. Thus he prepared a people for Christ’s first advent. But when, according to the prophecy, was Elijah to be sent? “Before the coming of the great and dreadful day of the Lord.” Mal. 4:5. How is this great and dreadful day described in this same prophecy? “For, behold, the day comes, that shall burn as an oven; and all the proud, yea, and all that do wickedly, shall be stubble: and the day that comes shall burn them up, says the Lord of hosts, that it shall leave them neither root nor branch.” Mal. 4:1. NOTE.-This day is yet future. It cannot be, therefore, that the work done by John the Baptist at Christ’s first advent is all that was contemplated in the prophecy concerning the sending of Elijah the prophet. It must be that there is to be another and greater fulfillment of it, to precede Christ’s second advent, and to prepare, or “make ready,” a people for that great event. What is the burden of the threefold message of Rev. 14:6-10? “Fear God, and give glory to Him; for the hour of His judgment is come: and worship Him that made heaven, and earth, and the sea, and the fountains of waters. . . . Babylon is fallen, is fallen, that great city, because she made all nations drink of the wine of the wrath of her fornication. . . . If any man worship the beast and his image, and receive his mark in his forehead, or in his hand, the same shall drink of the wine of the wrath of God, which is poured out without mixture into the cup of His indignation.” Rev. 14:6-10. NOTE.-Like the messages of Elijah and John, this is a call to repentance and reform,-a call to forsake false, idolatrous worship, and to turn to God, and worship Him, and Him alone. The first part of this threefold message points out the true God, the Creator, in language very similar to that found in the fourth, or Sabbath, commandment. This is the message now due the world, and that is now being proclaimed to the world. Those who are proclaiming these messages constitute the Elijah for this time, as John and his co-laborers did at the time of Christ’s first advent. How are the people described who are developed by the threefold message here referred to? NOTE.-These will be the ones who will be ready to meet Jesus when He comes. They have heeded the Elijah-call to repentance and reform. They have become concerned, not only for their own individual salvation, but for the salvation of their friends and relatives. By this message the hearts of the fathers are turned to the children, and the hearts of the children to their fathers. Each becomes burdened for the conversion and salvation of the other. There can be little religion in the heart of one who cares not for the eternal interests of his loved ones. When this message has done its work, God will smite the earth with a curse; the seven last plagues will fall, and usher in the great day of the Lord described in the preceding chapter. Sound aloud your holy cheer.